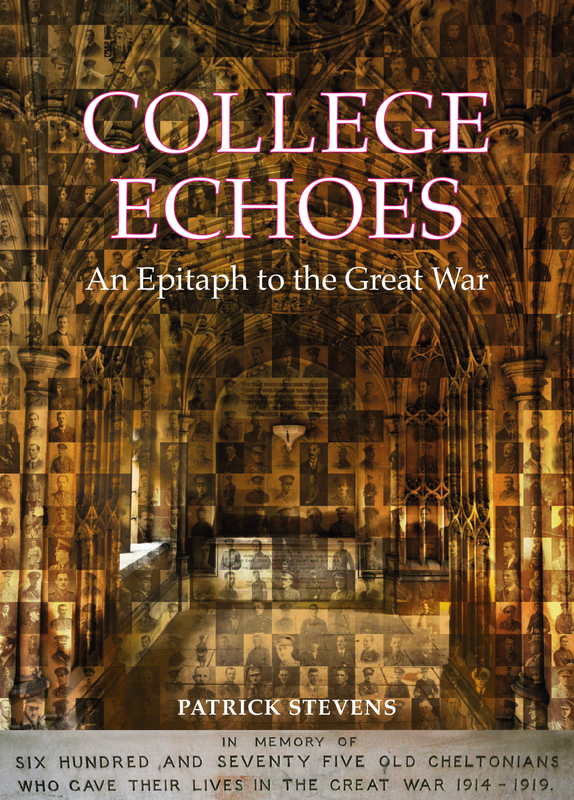 "Patrick Stevens’ moving testimony to the fallen of Cheltenham College and his ability to bring the names on these memorials to life not only informs us today of the sort of people they were, but also reminds us of the noble values they held – such as honour, duty and a readiness to sacrifice themselves for others." Over 3,540 Old Cheltonians (OCs - former pupils of Cheltenham College) fought in the Great War of 1914-18, with six being awarded the Victoria Cross for their valour, and many more receiving the recently-instituted Military Cross for gallantry. Sadly, 702 OCs paid the ultimate sacrifice. The book is a comprehensive anthology of events focused on on these young men, not only following the war year-by-year through their experiences, but also illuminating the fighting and conditions in the many theatres of war across the globe, including the Western Front, Gallipoli, Africa, Salonika, Mesopotamia and Palestine. You can purchase this book by credit/debit card or with your PayPal account by clicking the 'Buy Now' button below. The retail price of the book is £35.00, and the costs shown on the dropdown menu below include Postage and Packing costs for shipment, depending on location.